Better Cleaning Company picks its cleaners only based on recommendations from trusted sources. We carry out a complete history check for all our workers. They are all diligently qualified to work with our cutting edge cleaning gear, tools, and Prochem accredited detergents. 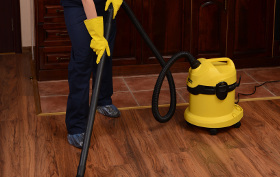 Our one off cleaners Hackney E offer an excellent one off property, spring and building contractors cleaning service, and work in accordance the safety and quality procedures of our professional cleaning company. All of our services are fully insured. Spring is coming, so why not allow us take care of it and offer you top-class spring cleaning Hackney E? We have invested in the latest, up to date cleaning machines, equipment and uses only perfectly safe and bio-degradable cleaning solvents, provided by Prochem. We have a detailed spring cleaning checklist, and will complete any one requested by you if the hours you have planned are enough. Let us transform your domestic or business property into a thoroughly clean and pleasant place. If you are there once the cleaners arrive they’ll start by checking that nothing has changed since you specified your demands. They are going to make a fast check around your place and confirm if they can do all the required tasks. You’ll be free to change your demands if there’s too much to be completed in the time you've booked. We provide quick bookings via phone 020 3746 3201 or via our booking form. You will receive a written confirmation within two hours. Our one off cleaning Hackney E company offers bank holiday and weekend availability. For urgencies, you can rely on us showing quickly too! No advance payment is needed for scheduling our service. You will pay after the service has been completed. So why not make an appointment our one off cleaners now!